MILFORD, CT -- A woman is speaking out publicly after a picture of her posted with an article from her local newspaper was used on a fake viral article. 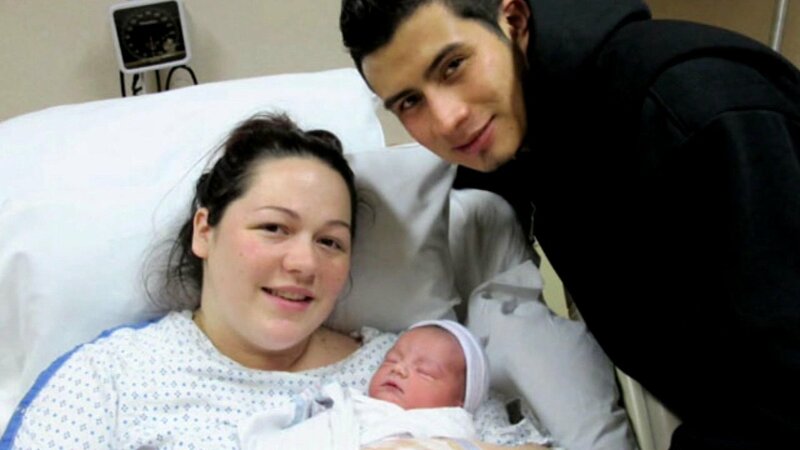 A photo of Karena Bennett was posted with an article from the Milford Mirror in January 2015, announcing the birth of her son which was also the first of the New Year at a Connecticut hospital. Last week, the same photo showed up on an article with the headline "Detroit woman gives birth to her 14th child from 14 different fathers," and the story went viral. "I started getting more and more notifications on my Facebook," Bennett says. "When people are really starting to make comments about your person - calling you ugly, calling you fat - those were the comments that really started to hurt me a lot. That's where I started to break down, seeing comments from 30,000 people." Experts say all photos posted online are at risk. They recommend you watermark your photos or mark your online pages as private.